Is the Happy Birthday Song public domain? People began singing it at birthday parties and the lyrics changed to Happy Birthday To You. Documentary producer Jennifer Nelson and her company Good Morning to You Productions paid Warner/Chappell $1,500 to use the song in a documentary. She claimed the song was in the public domain and filed a class-action lawsuit in 2013 for Warner/Chappell to reimburse her money and to win reimbursement for previous music synch licenses which would be millions of dollars. The 120 year old song is the most recognized song in the English language. 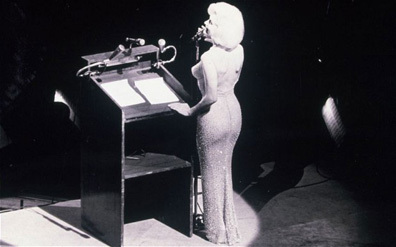 One of the most famous performances was by Marilyn Monroe when she sang it to President John F. Kennedy in May 1962. The song has appeared in a wide variety of TV shows, amusement parks and films ranging from Disney to Star Trek. A common rumor is that Beatle Paul McCartney owns the publishing rights to “Happy Birthday to You,” but that false. When you hear the song in public performances, there has almost always been a licence payment. Restaurants used to routinely sing the song to patrons to celebrate their birthdays, but licence fees forced the restaurants to change to another song. You can still sing the song at private parties, but if it’s in a restaurant of other commercial establishment or in a film, be prepared to pay. The lawsuit has been going on for two years and is expected to end soon.